The City of Vaughan, ON is located just north of Canada’s largest city, Toronto. Known as “The City Above Toronto”, Vaughan is situated in Canada’s most densely populated area, Southern Ontario, which is home to most the country’s corporate, industrial and manufacturing headquarters. The City of Vaughan recognized a need for a capital budgeting solution that would marry its long range financial plan with a multi-year capital plan as well as decentralize and automate the compilation and change process. Questica Budget Capital was the only solution that could provide Vaughan with all the functionality they required. Like most municipalities, the City of Vaughan was faced with the challenge of having a very manual process in place for creating and submitting capital budgets to Council. Their previous database application wasn’t supported either internally or externally. Vaughan recognized a need for a capital budgeting solution that would marry its long range financial plan with a multi-year capital plan in addition to automating the process. The budget cycle would start in July when notifications were sent out, and end with the budget due in September. The process of compiling and refining the budget information would take two months at which point it was ready for presentation to the Budget Committee. Vaughan’s budget process incorporates both the requested budget (in its entirety), and the proposed budget (what they have the money to do). This approach allows the Budget Committee to understand the infrastructure gap, but unfortunately created challenges in tracking and reporting and made changes to the budget difficult. Vaughan began the process of sourcing and reviewing their options, including: spreadsheets that were linked and cumbersome; software solutions that were not web-based, therefore limiting; and trying to leverage an existing in-house accounting system, which didn’t meet their functional requirements. After an extensive comparison of these options against defined functional and technical criteria in addition to talking with other municipalities who, faced with similar budgeting challenges, were also considering Questica Budget’s Capital module, it became clear that Questica Budget Capital was the only solution that would provide Vaughan with all the functionality they required. Prior to using Questica Budget Capital, the City of Vaughan was spending up to eighty percent of their budget time manually compiling, linking and changing their budget information. This reduced the amount of time available to perform value added financial tasks. With the implementation of our capital budgeting solution, the time required for compiling budgets has been reduced to 15-20%. This has freed up the remaining time (80%) to analyze the information, and spend more time on funding forecasts and projections and long-range financial plans. The ability to quickly create reports for the Senior Management Team and Budget Committee is key. As such, the City of Vaughan, along with Questica, developed several custom reports, some slight variations of existing ones and some completely new. Vaughan is now able to react quickly to requests for specific information. 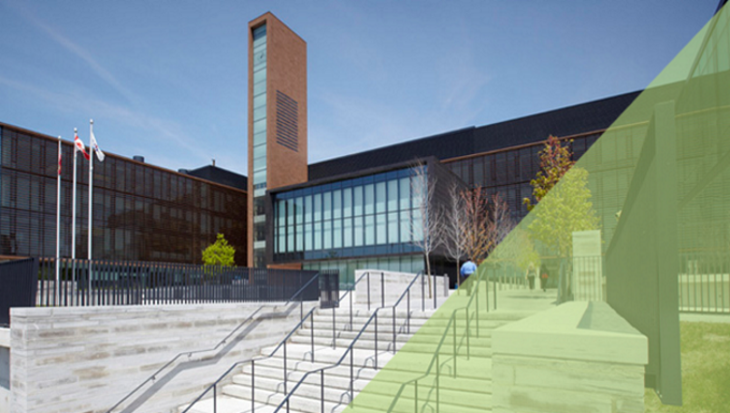 The City of Vaughan benefits from the use of centralized real-time information. The ability to make changes dynamically and immediately understand the impact of those changes is extremely important. In addition, each department can track real-time changes to their individual budgets through the various budget stages. This leads to fewer errors and mistakes made during the budgeting process. Thanks to more efficient budgeting, Vaughan is brilliant.